King Snap Spool. 100% Long Staple Matte Finish MercerizedEgyptian Cotton. 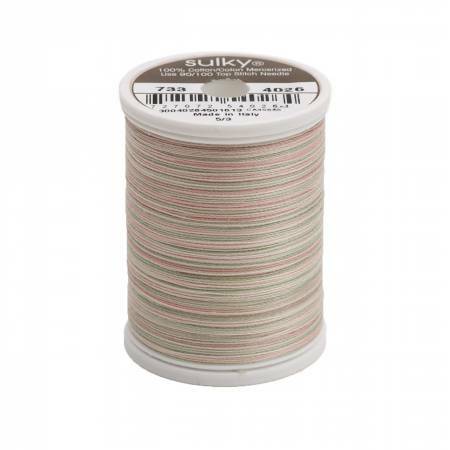 For Machine Embroidery and MachineQuilting. Color changes every 2 1/2in to 5in.